Beverly was a dedicated volunteer. 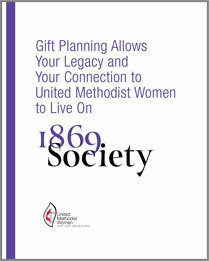 Over the years, she had seen many individuals impacted by the good work of United Methodist Women. She wanted to create a legacy to provide future support to continue our mission. Beverly: The work of United Methodist Women was important to me and I provided support with current gifts, but wanted to do more. I received their newsletter and noted that I could make a gift from my estate. I saw a picture of smiling people just like me and I wanted to be part of that group. Beverly: I met with my lawyer to revise my will and I included a provision for a bequest. My lawyer put language in the will that allows a percentage of my estate to go to United Methodist Women. This was easy to arrange and permits me to still use my assets during my life if I need them. 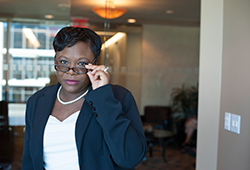 Beverly: I told their gift planner about my decision and was excited when I was invited to a special event honoring me and other donors. I will continue to make gifts during my life, but it feels good to know that my support will help in the future. You might find it helpful to select the "print" button on the top of your screen and print the pages. You may feel free to give these pages to your attorney. If he or she has any questions, please have him or her contact us at 212-870-3741 or NEpps@unitedmethodistwomen.org.